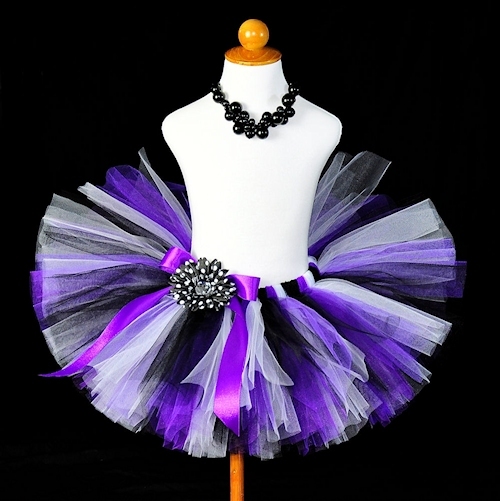 Purple, white and black birthday diva tutu for baby, girls and women. 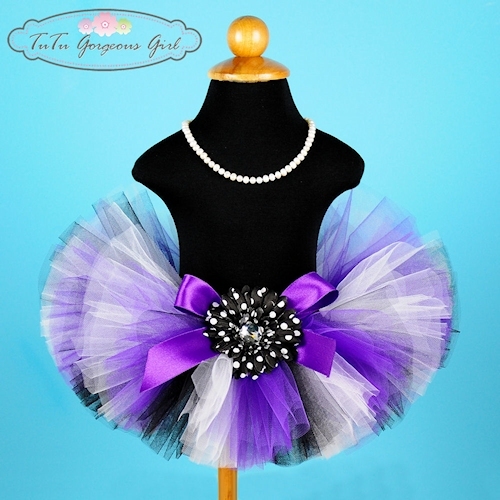 The Purple Pizzazz tutu is made with white, purple and black tulle. This tutu is perfect for a Halloween witch tutu, girl's birthday diva tutu, rock star tutu or women's New Year's Eve party tutu. Tutu includes a satin bow at the waist and optional flower clip and stretch headband.